presented their annual Martin Luther King Jr. Interfaith Observance, “Building the Beloved Community”. The event was held at the Islamic House of Wisdom, IHW, who also filmed the event for YouTube (https://www.youtube.com/watch?v=NtiMrp4v6To). The event gathered about 400 people, including a number of local officials. Dearborn Mayor Jack O’Reilly was present and gave a brief welcome. Debbie Dingell, recently elected 12th District Congresswoman, succeeding her husband, John Dingell, the longest serving member of the US House of Representatives was also present and recited a passage from Dr. King’s “I Have a Dream” speech as did other guests. 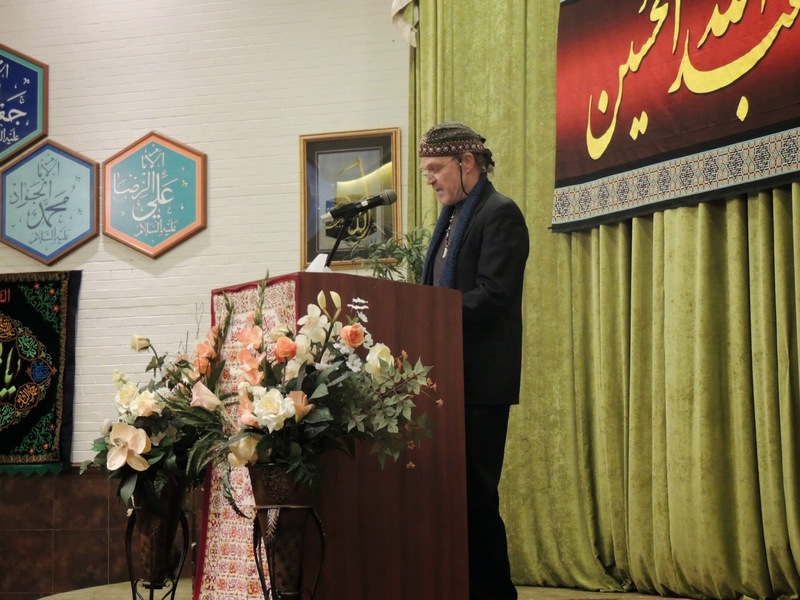 This was the 10th annual event by DAIN, held for the first time ever at a mosque. 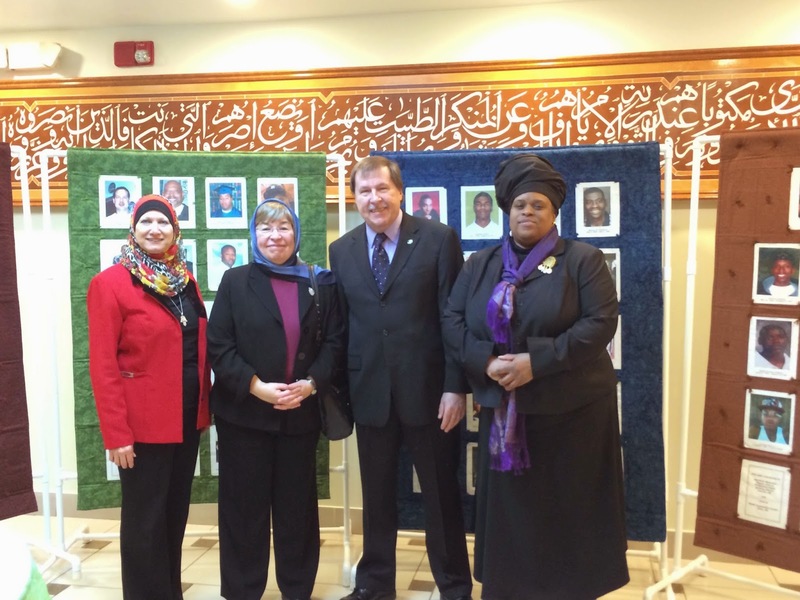 DAIN committee member Imam Elahi, hosted the event at his mosque, the Islamic House of Wisdom. 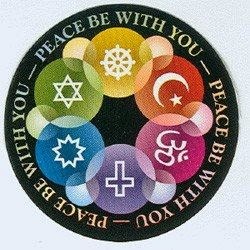 Although a new member of DAIN and new to Interfaith I was honored to be among the speakers, reading a prayer for Peace and Harmony from “Goddess Bless!” by Sirona Knight (about 38 minutes into the program, on the youtube above). Later I also read, along with fellow committee member Regina, quotes from Dr. King’s “Letter From a Birmingham Jail”. Regina and Oberon reading from "A Letter from a Birmingham Jail"
Regina also introduced the keynote speaker, Dr. James Perkinson, who spoke for about 25 minutes. Dr. Perkinson, author of White Theology: Outing Supremacy in Modernity and other books is a professor of Ethics and Systematic Theology at Ecumenical Theological Seminary. Dr. Perkinson’s speech tied a number of threads from Social Justice matters, such as Civil Rights, Ferguson, Police Violence, Inequality, and Global Warming to a solid message encouraging and demanding participation from everyone in the fight for justice. The observance featured a number of musical selections from the Henry Ford College Choir, including “We Shall Overcome” as their final selection, which most of the audience sang too. 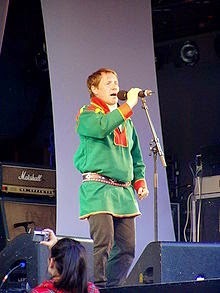 Other selections included “Lift Every Voice and Sing” and “O For a World”. For the special offering, nearly $900 was raised for the Lebanese American Heritage Project, which provides services for low-income Lebanese American children and seniors. 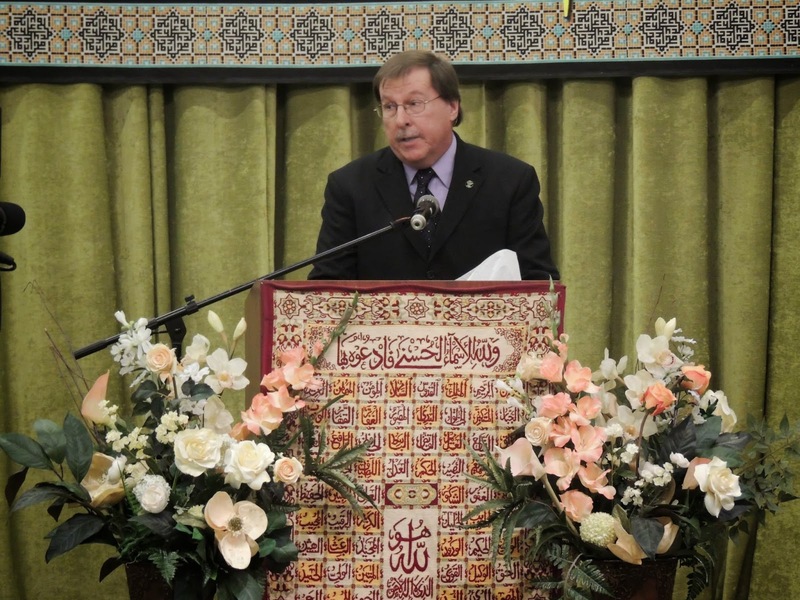 Dr. Tallal Turfe, long-time activist and humanitarian, presented a “Muslim perspective on Dr. King’s Life and Legacy”. Afterwards, for the reception, the friendly staff at the House of Wisdom served a pleasant, light meal that included a Mediterranean style lentil soup and salad, as well as breads and sweet pastries. 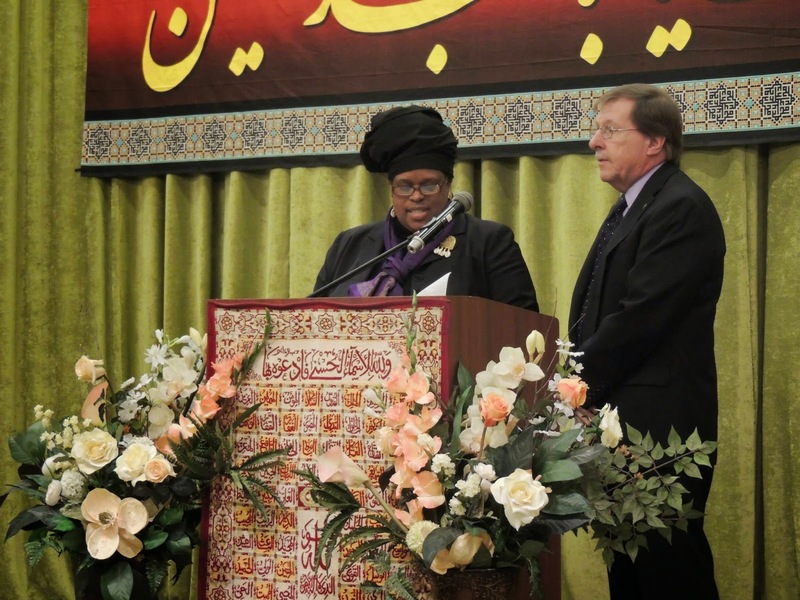 During the reception, Sandy North, Coordinator of Remember Me Quilt Project, spoke near the display of quilts her group brings to many Interfaith events in Detroit and Michigan. The quilts display the innocent victims of gun violence, a cause very dear to the Project’s heart. She invites the audience to participate in the quilt project by submitting their own dead family or friends of gun violence. As long as the victim was not a felon, or a gang member, they are welcome to be remembered on one of their quilts. If the Remember Me Quilt Project has their way, they would like more cities, towns and states to adopt the message and display victims of gun violence on their own quilts. Although this project has been around several years, in the aftermath of Ferguson, it not only takes on greater meaning but also asks all of us to go deeper and question the value of life. Not just all lives, but especially those who are most at risk. The message of Interfaith In Detroit, on Martin Luther King Day is to honor his message and to continue to speak truth to power. As Witches, we not only honor all life, as we are called to serve the Goddess, but to strive to protect those lives that are endangered. In the Detroit Interfaith community, it is a given that #Blacklivesmatter. Originally I had been told that I could expect the weather to be between 30 and 50 below zero for my trip and I planned accordingly, packing my battery operated heavy socks, and knitting myself a set of heavy fingerless mittens to go under heavier gloves. I had discovered in my youth that if I could keep my feet, head, and hands warm, the rest of me would follow so long as I dressed reasonably for the weather. I was actually looking forward to experiencing this type of cold as I had never before had the opportunity to do so having lived in California most of my life. Early on the morning of my travel I therefore dressed in my thermals, heavy jeans, long sleeved shirt and over sweater and…of course, my battery operated socks sans batteries. I also wore my crocks as they are very easy to slip off and on, figuring that I could add batteries, and heavier boots once in Regina. BIG Mistake! I was certain that I had packed everything that might even cause a hiccup in my check-in, carrying only my backpack/roller board. Once I walked through the detector however, I discovered what I had failed to take into consideration…my socks had wires. When I realized what was troubling them I told them what I was wearing and even pulled up my pants leg to show them. Nothing doing. Apparently no one in the airport had ever heard of electric socks. I was made to take them off and they (the socks), and I were tested for gun powder residue and other explosive chemicals and then they were run back through the machine; though to tell you the truth I have no idea what they thought to find as you can clearly see the sleeve for the wires and feel them anyway. They were so befuddled by the entire thing that they finally had to call the head of security over to once again test them. You know, I think that even a middle school student knows that you have to complete an electrical circuit for it to be in any way dangerous. THERE WERE NO BATTERIES IN THE SOCKS! Scheeze! Finally they determined that, as there were no batteries in the socks (duh…) and I had none with me it must be safe to let me through. Really? I could have bought batteries in three of the stores inside. I am so glad that I allowed an extra hour for check in. Fortunately the rest of the trip went more smoothly and I reached Regina airport in the evening around seven only to discover that it was closer to thirty-two degrees and I didn’t even need to change out of my crocks (or put batteries in those deadly socks) to still be comfortable. I told our driver that she was great and that CoG should make her an honorary “Weather Witch” for doing such a fine job of calling in the Chinook that so drastically changed the weather, which she insisted that the committee had done just for us. After meeting up for dinner our tour guide and wonderful hostess took us to our hotel where we wasted no time in turning in. 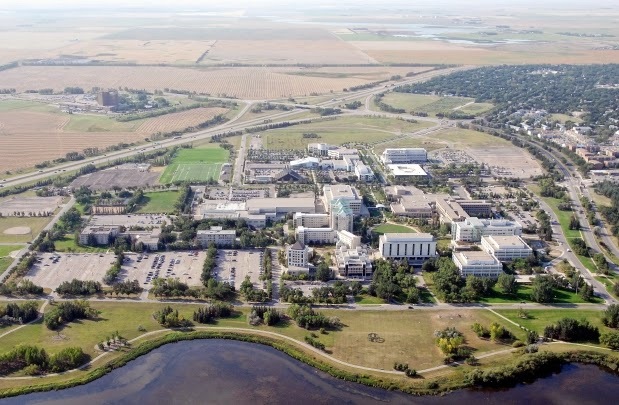 Our same guide, Brenda Anderson, came by at 0830 hours the next morning and scooped us up for the board meeting and a site tour of the Campus. I am the internal communications chair and had made sure to bring my computer and external cameras and mics for connecting our distance board members as needed, to the meeting. I was delighted to discover that every room had 54” monitors along with full connections to a computer and that I was able simply to open Skype on their equipment, log in and call folks without ever having to set up my own equipment. As an interesting side note for the more conspiracy minded of you, the technician who helped set everything up happened to work for the Canadian equivalent of the CIA… He was such a nice young man, very helpful in making certain that all of my wires were properly connected…hum… We did have a bit of a problem with mic volume that our youngest board member handled with efficiency. We worked through with only a break for lunch (at a typical college dormitory cafeteria, boy have my tastes changed!) until after 1700 in the evening but felt that it was a very productive day. 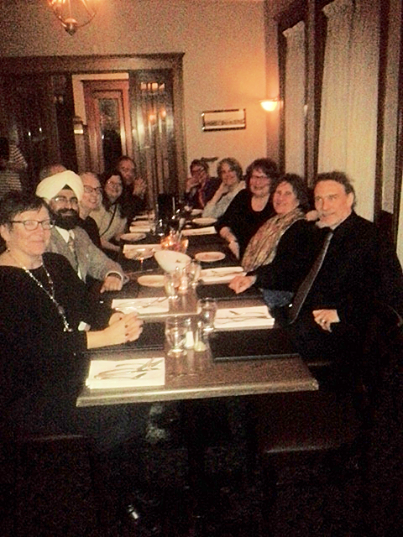 We then went to dinner at a great, if a bit slow, place where I was seated next to the dean of the college. Great conversation and food was had by all. This is the picture that Greg posted while I was gone. We left the campus at 1230 hours for the return home which, for me, was without major difficulties (possibly because I left my socks in the check-in). The one problem that I had was that I figured that I would eat something at the airport as I had two long patches of waiting, (having experienced the student cafeteria once already) but there were no restaurants on my side of the security check in any of the airports I was at. I ended up ordering nachos at a bar and this is what I got. 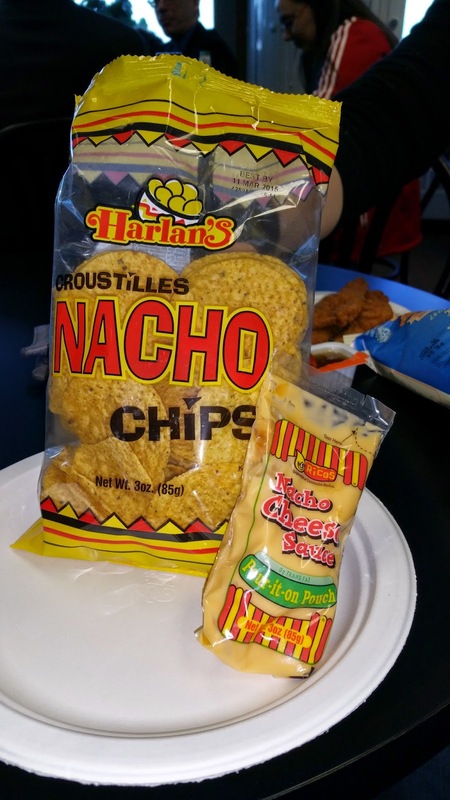 Who knew there was a kit for nachos? I took a pass. We in California take our Mexican food somewhat more seriously. In Calgary I was told that I should pick up my bag on the other side of US customs, but once there discovered that I should have picked it up on the Canadian side and dropped it off on the US side. The Federal Customs agents thought that this was very funny and gave both me and the poor girl pushing the wheel chair all kinds of grief (in good fun) finally taking and holding my passport until we got back. I then had to sit and wait three hours to board a flight for the final leg of the trip home, staring at a full service restaurant on the other side of a very thick glass for the entire time. The worst part of the trip home was that United did not meet me at the gate with a chair and I ended up having to walk almost half a mile around construction and other obstacles just to get to my bags. I then discovered that I had to walk to the Bay Area Rapid Transit that would take me home as none of the elevators went to the third floor to catch the “sky tram” in the part of the airport that I was in. I ended up walking a bit over a mile. Fortunately my suitcase has wheels but was none the less very hard to schlep by the time I was bent over from the pain in my back. My loving husband had dinner ready when I got home and between that and some really good drugs, I was feeling much better by bed time. One interesting part of the trip is that there is a First Nations College on the University Campus, (which you can readily identify from the overhead picture of the campus, as it is the only building without corners) and that Brenda is very active, as a professor of Women’s studies, in the problems that Canada is having with First Nations women being murdered and disappearing right off of city streets in broad daylight. We chatted every chance we got about the issues of the Tar Sands, Indigenous rights and education, and the effects of Colonialism on the First Nations people. It is hard to imagine how much this colonialism still plays a part in the politics of civil rights for the First people of the land. I was invited to represent the Wiccan voice in a panel on Women’s issues in the religious forum for one of the plenaries and also asked to do what they call an experiential work shop on the differences in types of communication in meeting with one another and decision making. Should be quite interesting. I did accept for both of them. I am sorry that there are not more pictures but I was very busy at this meeting. As Greg will be with me at the Connect, I trust that we will be able to present a better photo essay next summer. I Tantric Studies Group on “Funerary Practices in Tantric Tradition,” Featuring “Saving the Unfortunate: A Tantric Rite to Rescue the Dead,” Necorliberation in Early Sakyapa Funerary Manuals,” and The Five-Element Pagoda, the Mantra of Light, and the Six Paths: Tantric Elements in Medieval Japanese Funerary Practice.” As someone interested in both death and dying and rites of passage and other rituals, including the employment of bricolage within them, I’m drawn to these types of presentation on the rare occasions they can be found. I Religion and the Social Sciences Section, Religious Conversions Group, Secularism and Secularity Group, and Sociology of Religion Group, on “The Shifting Boundaries of the Secular, Spiritual, and Religious.” This is another area of culture that I as a Pagan feel worthy of exploration, since we seem to be expanding in numbers, and even in diversity, as well as our having a face in the interfaith/multifaith movement for social change and social justice. Again, as a Pagan who has always considered her religion to call for efforts at social justice and political change, this panel called to me. Such papers as “Switching, Mixing, and Matching: Towards an Understanding of Multireligiousness in Contemporary America” and “Qualitative Research on Spiritual but Not Religious ‘Nones’: Heterogeneous yet Conceptually Converging,” seemed that they would have addressed some of the attitudes I’ve encountered frequently in my interfaith activities. I Native Traditions in the Americas Group on “Native Traditions, Food, and Environmental Change: Restoring Right Relationships” “Plants and animals are an essential part of the complex relationships that are central to the religious frameworks of indigenous peoples…” From four different bioregions of North America, papers address the relationships between Native traditions, food and the environment “as expressed through sacred narratives, teachings about reciprocity, responsibility, and respect, traditional stories, ceremonies and rituals, and songs. Climate change, human manipulation of the environment, and the loss of traditional knowledge through government intervention are some of the ways these relationships have been altered, yet found within traditional knowledge are ways to restore these relationships. …presentations explore… different yet complimentary examples of indigenous peoples turning to their religious traditions to restore right relationships with food in the face of colonial legacies and climate change.” Here’s a list of the juicy-sounding papers in this session: “Restoring Himdag: Traditional Ecological Knowledge and the Tohono O’odham,” “Of Coyotes and Culverts: Tribal Salmon Preservation in the Pacific Northwest,” “How Traditional Storytelling and Activities Help Make the Anishinaabeg Defenders of the Earth: A Case Study of Making Maple Syrup,” and “The Nature of Food: Dene Approaches to Caribou Hunting.” Isn’t it obvious how appealing these talks would be to a contemporary American Pagan whose existence, like the existence of all life as we know it, depends upon right relationship with our environment and food sources? o Stephanie Yuhas on “The Relationship of Dark Green Religion to the Spiritual But Not Religious Movement”’ – definitely Pagan flavored. 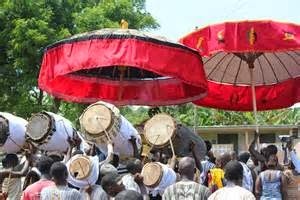 First recorded by a Dutch trader around 1704, the festival takes place in the Jomoro District. With drumming, a canoe regatta, the pouring of libations, the eating of special foods, for eight days or longer the people seek to honor their ancestors and elders, and to ensure good health and abundant crops. In rituals involving communication between humans and non-humans, they appeal for protection. 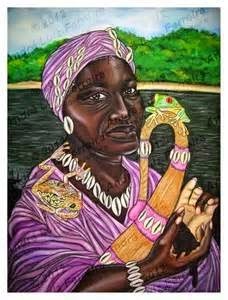 They honor a “God creator” and Mother Earth Yaba. Local river goddesses are also honored, for they are seen as good mothers, providing a place for swimming, an artery for traveling, and fish for eating. Today these rivers are threatened by oil drilling -- all the more reason to employ any and all means of restoring balance and repairing damage caused by human activity. Samuel also showed some photos of a Kundum Festival held annually in Atlanta, Georgia. He has not attended the one in the U.S.; rather, a friend sent him these photos. 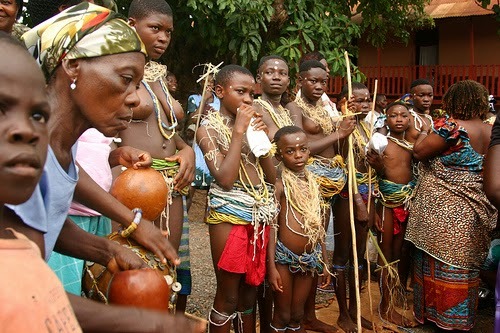 Since, he’d emphasized the rituals honoring the local river goddess in Jomoro, I asked him if the festival in Atlanta connected to the Chattahoochee River in any way, but he wasn’t certain it did and suspected it did not. Form our people to your people. Riddu Riđđu does not encourage travelers from afar because it discourages anything that increases one’s carbon footprint, which air travel obviously does; they nevertheless do welcome other indigenous peoples. 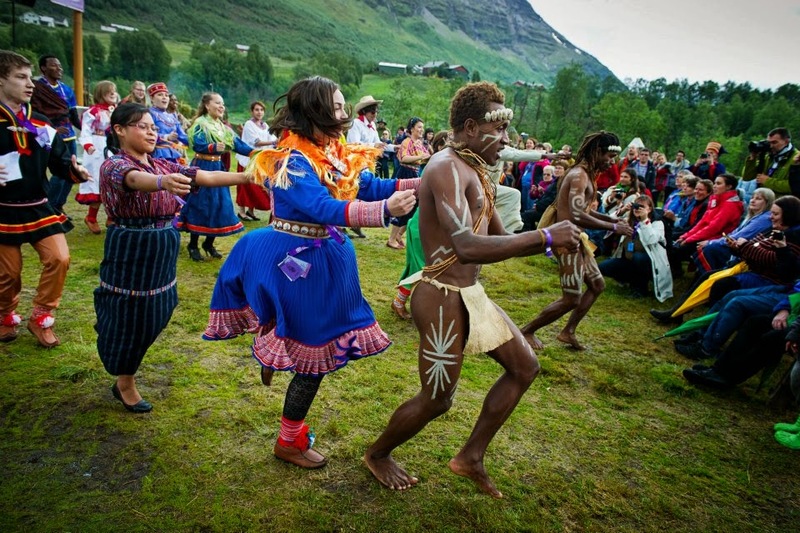 This particular year Maori people from New Zealand were among the participants. 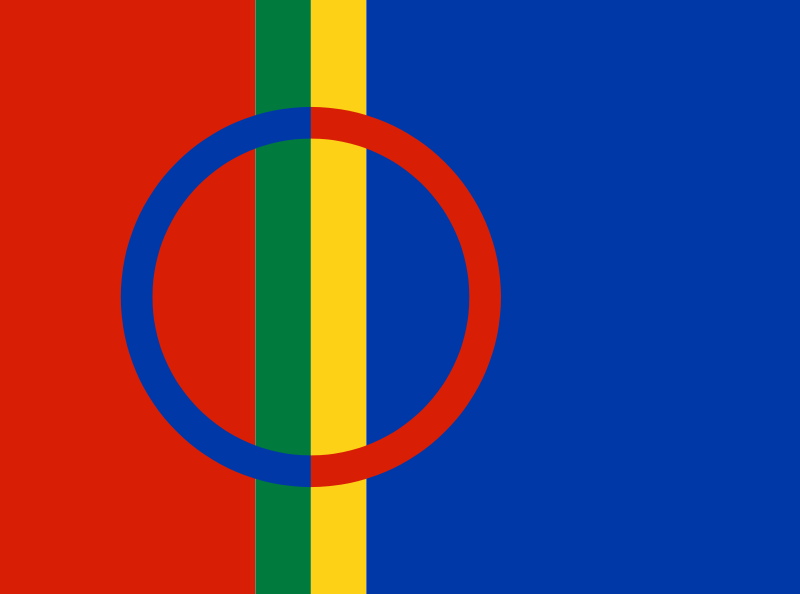 Singers perform traditional Sami joiking, a personal and evocative vocalization in which the singer “sings” or “becomes” persons, animals, and landscapes. Just as the health of the rivers of Ghana (and elsewhere) is threatened by oil drilling, so too is the health of the rivers in the circumpolar regions. As Earth’s atmosphere heats and glaciers melt, at temperatures of 30º F. and higher in the arctic summer, rivers flood, resulting in the inability of trout to swim upstream to reproduce because the rushing water is too strong and too cold. I realize this treads closely to cultural appropriation. I live in a multicultural society. Saturday morning I passed on the “Plenary Panel: Release of PRRI/AAR National Survey on Religion, Values, and Climate Change,” because, although I’m interested to see how mainstream religions are now paying closer heed to our utter and complete interdependence upon other species, weather, and other planetary phenomena, and am encouraged, I decided to pass. As one of the panelists said at the outset of this series, “We rarely know what we’re doing until someone else tells us.” That is one of the roles of artists and writers as interpreters of culture as well as in their roles as agents of change – to show and tell us what our behaviors seem to be indicting. Discussions and analyses have traditionally taken place in pubs and coffee houses. One panelist claimed that it is in these venues where ideas are transmitted, which may account, at least in part, for my affinities for metropolitan life. It offers more access to other minds and other perspectives. With the exception of Emily Dickinson, all the subjects treated were social creatures, very much engaged in the society around them. According to the presider, Shakespeare invented the idea of human personalities as agents for social and cultural change. Each of four panelists spoke about an individual whose life works served these functions: painter and engraver Albrecht Dürer, poets Emily Dickinson and Allan Ginsburg, and musician and songwriter Bob Dylan. First, and by far the most interesting to me, was Dürer, primarily because I knew so little about him. One of the panelists remarked that she learned more about Dürer in this presentation than she’d ever known before. I did, too. In today’s digital world, few but art historians delve into the works of German Renaissance artists. However, unlike today when most people (in this country, anyway) are literate, in Dürer’s time (1471-1528) literacy was uncommon. Ideas, theories, and most significantly theology were communicated by way of imagery. In this regard, Dürer became a transmitter of evolving early Reformation Christian theology. 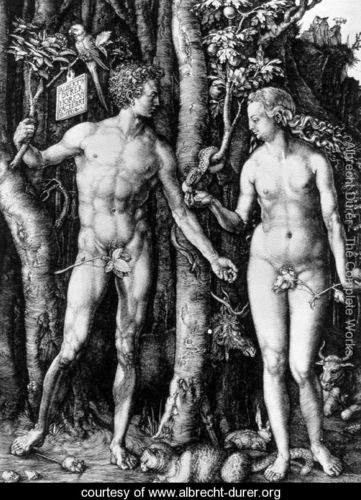 For instance, he created several images of Adam and Eve in the Garden of Eden that changed over time. 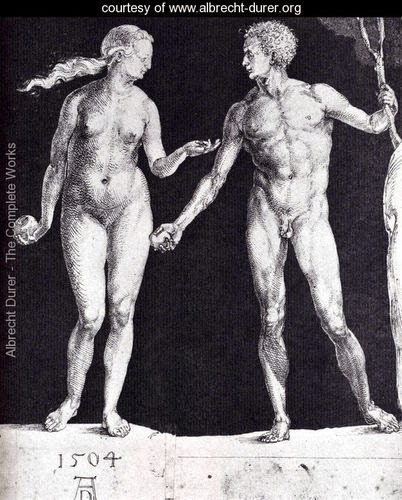 In some the subjects seemed innocently naked, in some they are shown touching, in one Adam’s arm embraces Eve’s waist. 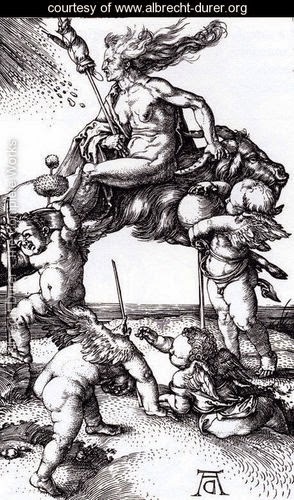 Among the other interesting characteristics of Dürer’s art is that he embraced the new technology of etching. This presages new digital technologies in contemporary art. He also inserted himself and his friends into his etchings. 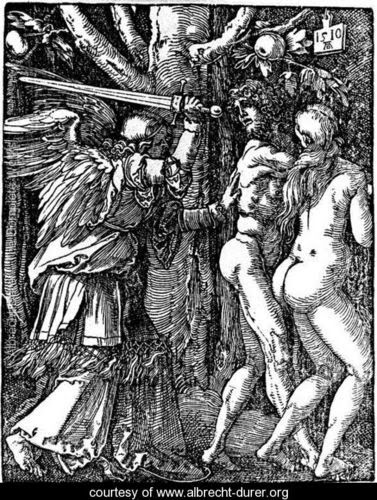 Although this was not a fact mentioned by the presenter, I have since found that Dürer created many images of Pagan personages such as Nemesis, Apollo, Diana, and Orpheus, and allegorical figures such as Melancholia and Death, as well as the zodiac. Bob Dylan, who was Zen, Christian, and Jew, all advanced and exclusive of each other.. Is he “unknowable” religiously? His evangelical turn/”conversion” occurred in the 1970s, during the Presidency of Jimmy Carter, and the rise of the Moral Majority. Dylan was introduced to the born-again creed of a charismatic sect called the Vineyard Christian Fellowship in 1979 when he became friends with Kenn Gullicksen, one of its founders. My experience with Vineyard Christian Fellowship locally is minimal, except that I’ve noticed they keep a tight focus on their own version of Christianity and conversion, with little involvement in wider community issues. Regardless of his enigmatic religio-spiritual identity, there is no doubt that Bob Dylan’s artistic output has influenced contemporary society. Allen Ginsberg, such a mensch! From his time at Columbia University in the late 1940s, through the publication of “Howl” in the ‘50s, and up until the time of his death in 1997, Ginsberg encouraged new literary and cultural, political, sexual, and religious expression. A Jew by birth, Ginsberg was one of the founders of the Beat Generation in San Francisco in the ‘50s, traveled to India in 1962, where he studied yoga and meditation, and later embraced Buddhism. He is tied to Eastern religions and the counter culture, and he lived where the culture around him enabled his ideas to be heard. 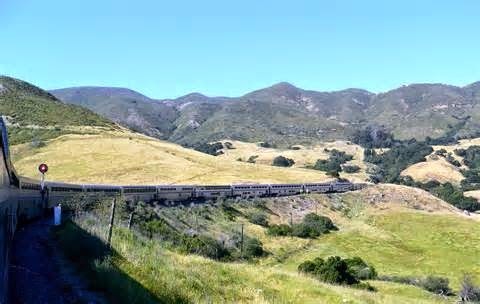 The Pacific Surfliner Amtrak train arrived in San Diego at 1:00 a.m. on Friday, having boarded the Coast Starlight in Emeryville at 6:10 a.m. on Thursday. Due to confused arrangements for lodging, I had no place to stay. Took cab to home of my niece Ally and missed the early Friday sessions I’d planned to attend. Feeling a bit lost in the vastness of this convention center, I headed for familiar territory and found myself at the Forum on Religion and Ecology, Yale University, annual luncheon. 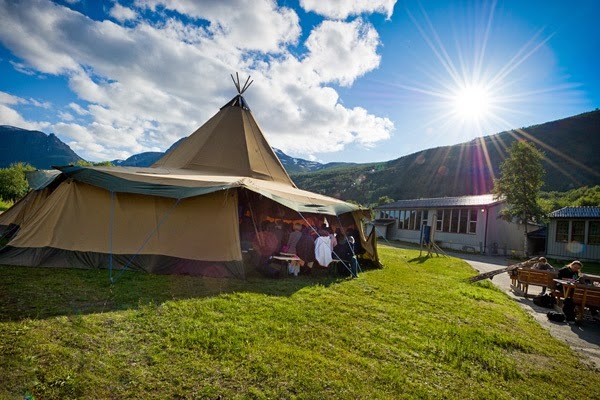 I decided to stay for a while because the luncheon was headed by John Grim and Mary Evelyn Tucker; John Grim and I had participated in The Biodiversity Project Spirituality Working Group at a small retreat near Madison, Wisconsin, in 1999. The first person I encountered whom I knew was Bron Taylor, headed for this luncheon. I was fortunate to have a little time for one-on-one with Bron, when we shared optimism about the emphasis on climate change at this AAR, and considered more recent changes in radical environmental activism with the death of such notables as my friend Sequoia in 2008. I chatted with some of the organizers for a while because we were early, and learned that one of them, a man from Vermont, has a son who is a grower in California. You never know. Soon we were joined by Graham Harvey, Doug Ezzy, and others. As I listened to every person in the room -- I would guess more than 100 -- introduce her or himself and say something about where they were working (universities, graduate students, NGOs, et al. ), I was pleased to hear all the references to ecology, nature, climate change, and the like. Of course, some went on and on explaining what they were doing, and that had to be checked so there was time for everyone else to speak. I said I was from Covenant of the Goddess and Cherry Hill Seminary, indicating that CHS was the first and only Pagan seminary and that it operated in cyberspace (green, ya know), and that I lived in a county in a metropolitan area that, thanks to some far-seeing wealthy environmental activists and not to me, is zoned 70 percent open space. I wasn’t able to stick around for very long because I left for a tête-à-tête with a Pagan pal from Colorado before the conference got too crazy. Here are examples of a few of Friday’s sessions that intrigued me but that I couldn’t attend. For so many reasons these kinds of discussions interest me. My fascination with Hinduism relates to my interest in having Pagans define who we are, as different religious paths and as a movement, which to my mind is similar to the diversity of people who fall under the general term “Hindu.” Also because I have been devoted to Kali Ma for all of my Pagan life. Further, because concepts of polytheism and monotheism (as in “we all come from the one” or “after all, we all worship the one god” – well, no, we don’t). ★ International Society for Science and Religion: “Emergence and Complexity in Science and Religion.”… “current research on the religious and philosophical significance of scientific work on questions of emergence and complexity in cosmic and biological evolution.” As one of those kinds of Pagans who holds scientific inquiry in high regard, mainly because scientific facts are more easily defended, can be replicated, are less likely to be colored by our personal filters, I’m constantly pondering the concordance of scientific fact with religious proclamations. ★ Psychology, Culture, and Religion Group: “Panel Discussion of Lucy Bregman’s The Ecology of Spirituality: Practice and Virtues in a Post-Religious Age.” I have no idea who Lucy Bregman is, and I suspect she’s coming from an Abrahamic perspective; nonetheless, the topic of ecology and spirituality in an age of secularity interests me. Now that I’ve looked her up, I can see that I’d be interested in her perspectives on death and dying and on mysticism. I’m a bit familiar with one speaker, Kelly Bulkley, have heard him speak at a local independent bookstore, and because he does dream research and is also a homie (GTU in Berkeley), and Dr. Bregman was there to respond. ★ Women’s Caucus Brown Bag Luncheon: Ecofeminism and Earth Healing, which included, among others, “What Is Ecofeminism? Memorable Ideas in an Ongoing Conversation (1972-present)”; “Indian Women and Jainism: Toward an Ecofeminist Perspective”; and “Spiritual and Transformative Connections: Women’s Stories of Ecofeminist Activism and Artistic Expression.” I’ve been working on a 90-minute presentation on “Mother Nature Speaks” for a webinar on ecofeminism for the Emergent Studies Institute. ★ Religion and Ecology Workshop: “Religious Environmentalism and Environmental Activism.” This was an afternoon-long workshop, at an extra charge, examining the fusion of religion and politics and politics in religious environmentalism,” considering people of “established faiths and of eclectic spirituality … engaged in environmental activism for explicitly religious or spiritual reasons.” Well, this is many of us Pagans, isn’t it? 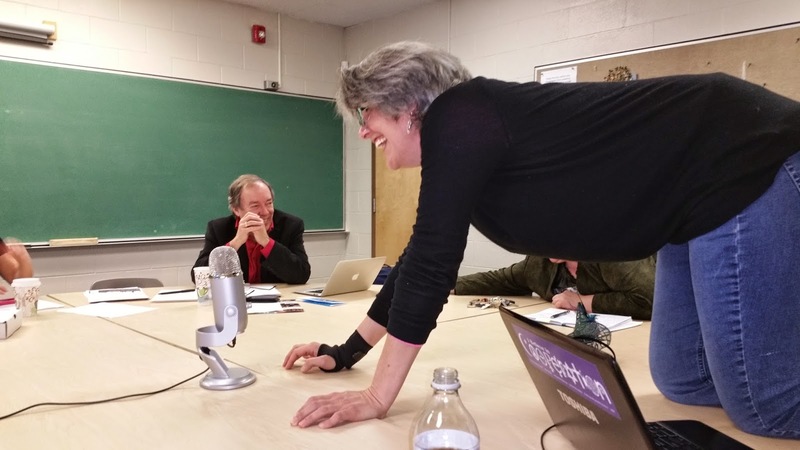 The workshop claimed to look at case studies, such as “civil disobedience by religious leaders over Keystone XL, interfaith reforestation efforts in Southern Africa, indigenous resistance to fracking,” progressive movements for democracy, racial and gender equality, workers’ rights, et al. Obviously this session was one where I could have learned and shared. Alas, I was wiped and didn’t feel really settled because I’d be changing my lodging on Saturday, so Megory and I arranged to rendezvous at our room and find a place to get a light meal. As I was trekking my way back to our hotel, I encountered a man waving to me across the plaza. It turned out to be Steve Wehmeyer, who’d only just arrived. Proceeding from a big hug, we started an animated conversation. I told him I was on my way to meet with Megory, so he walked me back to the hotel and we sat in the lobby for quite a while having a great talk. He said some things to me that caused me to reflect upon my identity and place in the world of Pagandom. I’m grateful for that. Chas Clifton had told me earlier in the day that the likely gathering spot for us Pagan scholars – presuming to apply this term to myself merely because of the nature of the gathering – would be in the New Religious Movements (NRM) suite. We referred to it as “The Pomegranate party” because so many connected with The Pom were likely to attend. 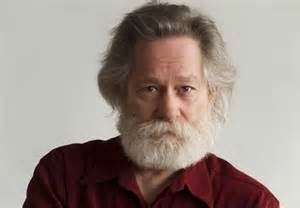 I told Steve when and where and off he went to enjoy the party, while Megory and I sought a restaurant and retired early. Well, not too early, since this was also an opportunity for Megory and I to visit, which we did. In the intervening 15 years, it seems that The Biodiversity Project in Madison has changed its name to Bluestem Communications.